At Ecovative, excitement is always in the air. We’re excited about replacing toxic products, promoting sustainability, and changing the world. How can a team of young scientists and engineers NOT be enthusiastic about that prospect? While Ecovative’s team is filled with diverse people who have varying experience and expertise, it is no surprise that the entire company shares a mentality with the Co-founders' Alma Mater. Rensselaer Polytechnic Institute’s mantra of “Why not change the world?” resonates heavily within the walls of our office and warehouse. 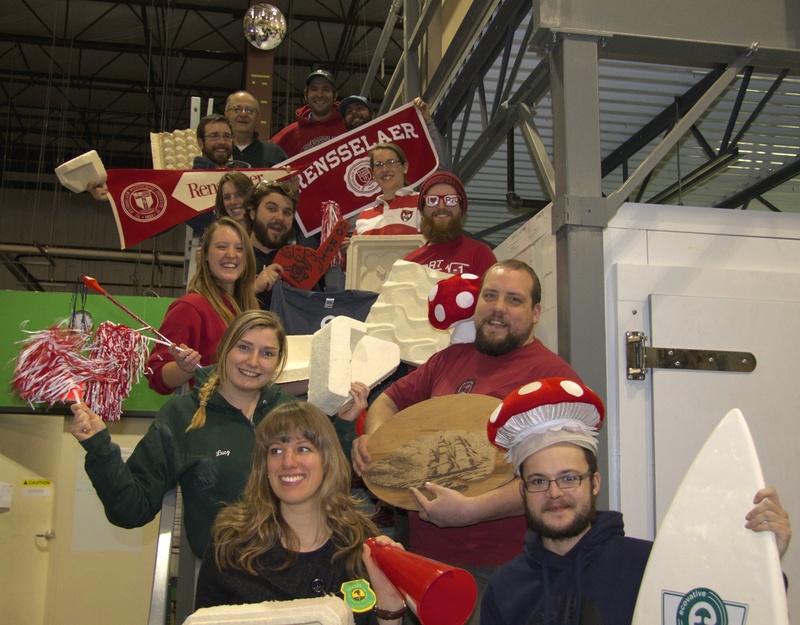 With about 25% of Ecovative employees having studied at RPI, we certainly feel a connection to the institute. Additionally, RPI’s Incubator Program is to thank for Ecovative’s first operating space, and through the current Emerging Ventures Ecosystem program, Ecovative is able to use RPI facilities to broaden the scope of our research projects. For these reasons and more, we were ecstatic to take part in RPI’s 4th Annual Spirit Day. This event gave us the perfect excuse to show off our constant enthusiasm for changing the world in a different light – and with pompoms! Here at Ecovative, we are proud of our origins and thrilled with the success that has allowed our company to grow into what it is today. GO RED! !